Gorgeous Beach House in Maravilla Community in Destin Rest-up after a day on the Beach. Plenty of room to spread out with 1269 square feet of space. Sit Back and Relax in the Living Room with the newly upgraded large screen TV Comfortable Casual Dining. Reconnect at the Dinner Table. Sunny Spacious Kitchen with Plenty of Cabinet Storage for your Convenience. Master Bedroom. It is your vacation. Go ahead and sleep late in the comfy king bed. Enjoy a favorite show while relaxing in the comfy King Bed. Sleep Late in the Comfy Queen Bed in the Guest Bedroom 2 Enjoy a favorite show in the Queen Bed in the Guest Bedroom. Innovative Lseeping Arrangements in Bedroom 3. Full and Twin Beds Sleep 3 comfortably. Bedroom 3 features amazing beach style art Master Bath adjoins the Master Bedroom for your Convenience and Privacy. Walk-in Shower in Addition to Large Bathtub. Spacious Dining Area for Family Time Together on Vacation. Relax on the Deck after a Sunny Day on the Beach Enjoy the Spacious Deck Awesome Backyard to Enjoy During Your Stay Wet towels coming home from the Beach No problem. You have a Full Size Washer and Dryer. Enjoy Free Beach Set Up - 2 Chairs and Umbrella Take a refresing swim in the Beachside Pool with a View of the Ocean. Second Pool. Just steps from your Beachhouse. Heated in Winter. Hot Tub located Near Your Place at the 2nd Pool You can keep your erxercise routine at the Maravilla Clubhouse. Tennis Courts are Free for Maravilla Guests. First come, first serve. Welcome to Maravilla Gated entrance from Hiway 98. A Beautiful Getaway Day begins at Maravilla. Another view of the Beachfront Pool, just steps to the Coastline In the evening, relax in the gazebo with your favorite beverage Gated Access to the Private Beach for Maravilla Guests Only Enjoy the clean and pure sugar-white Maravilla beach Wake early to a morning sunrise over Maravilla Beach Morning breaks over Maravilla Beach Book your stay in Barefoot beachhouse today. Call us at 423.899.3003 or Book online. 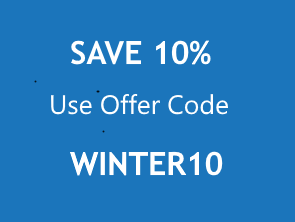 For a limited time book a January or February stay with offer code WINTER10 to save an additional 10%. If calling for assistance mention the offer code and our reservationist will apply to your winter rental. Barefoot Beachhouse is a spacious vacation beach cottage in Destin, Florida in Maravilla community on Scenic Gulf Drive. Offered by Coastline Condos, Barefoot Beachhouse is roomy enough for up to 8 people to stay. Great for one large family, 2 families or 3 couples in this comfortable vacation home. Everyone can vacation together at the beach with plenty of room to spare! Barefoot Beachhouse is located in Maravilla, one of Destin's most popular resorts. 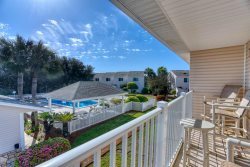 Close to the beach and only a short stroll to the sugar white sand of the Gulf. Large back porch patio has table and chairs. It's great to get the family or group together to enjoy a fun outdoor experience, or walk a few steps to the large North Pool. Enjoy a well-deserved rest while having your favorite beverage. Play a friendly game of cards in your shady patio area after a long day at the beach. You'll find two beach chairs and an umbrella set up for you on Maravilla's private beach every day of your stay during the high season (March - October). Extra chairs and umbrellas are available to rent from the beach attendant. Barefoot Beachhouse's interior decor is second to none. It will relax you for your week of fun in this beautiful professionally decorated space. Special, decorated walls with beach scenes in different rooms give a real sense of being at the beach. Enjoy your favorite TV show or family movie on the huge 55" flat screen TV with DVD player. And, you'll find flat screen TVs in each bedroom. The main living area boasts high cathedral ceilings. The large 1,269 square feet seems even larger and more spacious. This is truly gracious living in a vacation cottage home! You'll find 2 large master bedrooms -- one with a king bed and one with a queen. The 3rd bedroom has a full size double bed and a twin. The sofa expands into a queen bed for those extra guests or children. This arrangement allows up to 3 couples to stay at the Cottage, or 2 couples and children, or just 1 family or a couple. Anyway you look at it, it is the perfect beach cottage to spend a few days or a week, or even a long winter's stay. The entire home is on one level. No stairs to climb. A feature everyone appreciates! The laundry room has a full size washer and dryer to keep your clothes and towels fresh and clean. A full size washer/dryer is ideal for large groups. Free high speed wireless internet is complimentary. Surf the web, shop, or catch up on your social media. The kitchen is completely equipped. Just perfect for preparing meals if you decide to dine in after a fun day at the beach. Everyone can get in on the action preparing a late night pizza or to pack a lunch to take to the beach. Lots of cabinets, including a large pantry to store your goodies. All full sized appliances, plenty of pots and pans, dinnerware and silverware. You'll find fresh linens on all the beds and baths when you arrive. So you're all ready to begin enjoying Barefoot Beachhouse. Just bring your own beach towels, flip flops and some great food and you're all set! This exquisite and livable Cottage is close to everything Destin has to offer. You are walking distance from world famous Pompano Joe's gulf front restaurant. Grocery store is only a short 2-minute drive away. Shopping is excellent in the Destin area. And close by. The Silver Sands Outlet Mall, one of the country's largest, is just 5 minutes away. The recently expanded Destin Commons Mall is minutes away too! And Big Kahuna Water Park, a short drive on Highway 98, is a favorite place to take the kids for a special day off the beach. Plan a great family getaway in Destin. call us at 423-899-3003 or Book Online now to reserve your stay at Barefoot Beachhouse today!. -Perfect for 2 families or 3 couples -- split the cost! -Very Close to North pool, newly re-surfaced tennis courts. Basketball goal. -Free Beach Service (2 chairs/1 umbrella) provided for you March 10-October 31. Jillian, who stayed at Barefoot Beachhouse in Maravilla, said: "Our stay was great! Cute cottage, we enjoyed sitting on the front porch. The pools available to the community added to the enjoyment of the beach on rough weather days. The cottage was great, we truly enjoyed our stay. You were very helpful when we wanted to add an extra night. We hope to come back!"